There are many ways to pull this trick. 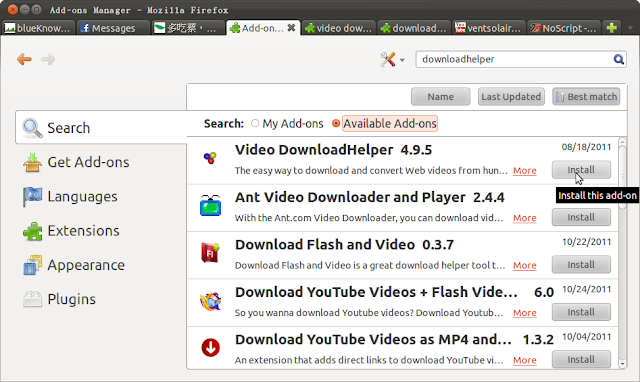 The way I do it is to install a Firefox addon: Video Downloadhelper. 1. From Firefox menu, go [tools] then [Addons], and search for "downloadhelper". 2. 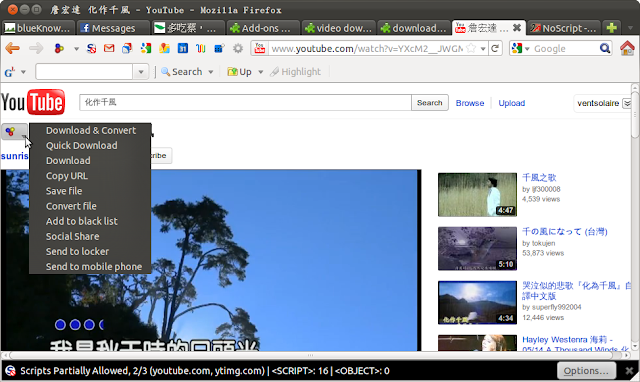 Install "Video Download Helper"
2. 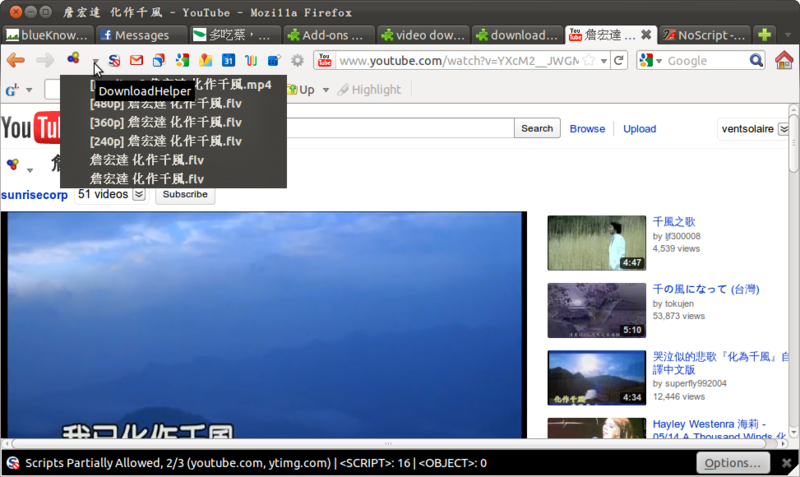 安裝 "Video Download Helper"
4. From now on, downloading video becomes a new option. 5. If you cannot view the clip on your device, you might need to work with its format. In most cases, it is the resolution and the codec that matters. You may use Format Factory for converting formats.